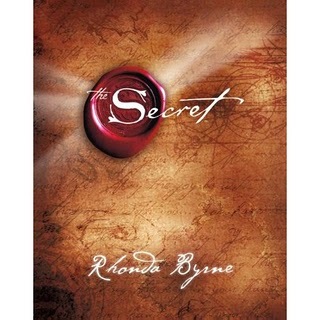 So... has anyone bought this book, The Secret? It's all about mind over matter, like if you think something good will happen, then it will happen. If you worry about something bad happening, then it will happen. Your current thoughts are creating your current life. Your thoughts become things, and as you think them, they are sent out into the universe and attract like thoughts. The author was on Oprah a couple weeks ago, and today's Oprah is going to be an update. So watch! I downloaded the audio version from iTunes and I'm going to put the ideas into practice. I've been in a funk lately, maybe this will help. I'm not really depressed, but I'm in a "place"... it's hard to explain. I've always been a really positive person, and I haven't been lately. But perhaps if I try to consciously change my thoughts, things will perk up. Anyway, I'll let you know how it goes!